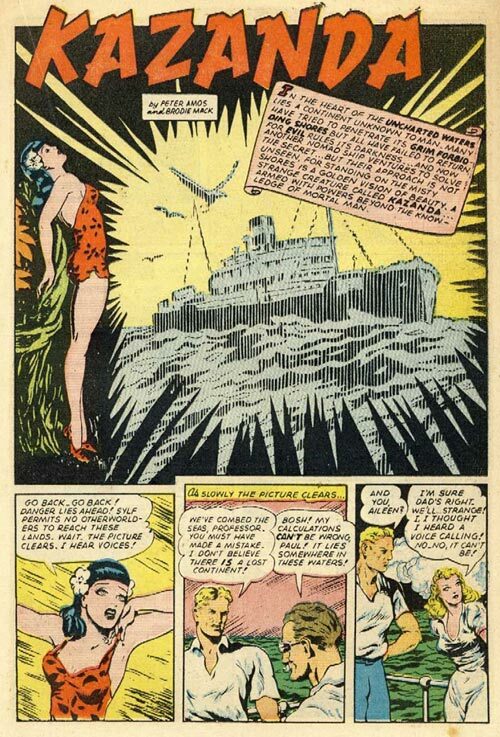 Ted Brodie-Mack's Kazanda, which he drew and co-authored with Peter Amos, was the first 'New Zealand' comic published in the United States, where it was reprinted in Ranger comics in 1945. Kazanda was a jungle queen who inhabited the Lost Continent. She had supernatural powers, including telepathy, and was a force for good. One of her special skills was an ability to communicate with wild animals and calm the most ferocious beasts.